There are many different opinions about the historical evidence about Jesus, and some outlandish viewpoints. How can we find the best information and who can we trust? I have generally avoided christian apologists or extreme sceptics and have based this website on the most respected secular scholars. Jesus lived in a very different time and culture to us, and spoke a different language. Most of us can only read his biographies in the Bible via a translation. And if we want to delve any deeper, we need to understand language, culture, archaeological discoveries and other ancient writings. Few of us have access to this information nor the skill and training to interpret it. While we are each free and responsible to form our own conclusions about Jesus, we must first understand the facts available, and that must come from the experts. Some are believers who write to defend the christian faith. They are acknowledged experts in their fields, but they will generally believe or assume that the New Testament has been inspired by God and kept accurate by him, and are willing to accept the reality of supernatural events and causes. There are a large number of scholars in this category, including, in the reference list, Blomberg, Habermas and those quoted in Strobel. Christians will generally be happy to accept what they say but non-believers may not. At the other end of the spectrum are non-believers who use speculative or radical methods not general endorsed by other historians, and perhaps write to disprove or discredit the christian faith, . They will generally believe or assume that that the miraculous cannot occur, and the New Testament is unhistorical except where it can be proved otherwise. There are a smaller number of scholars in this category, represented in the reference list by Funk and the Jesus Seminar, and those writing on the Secular Web. A number of writers in this category are not recognised scholars. Non-believers are often happy to accept the views of these writers but christians and historians may not. 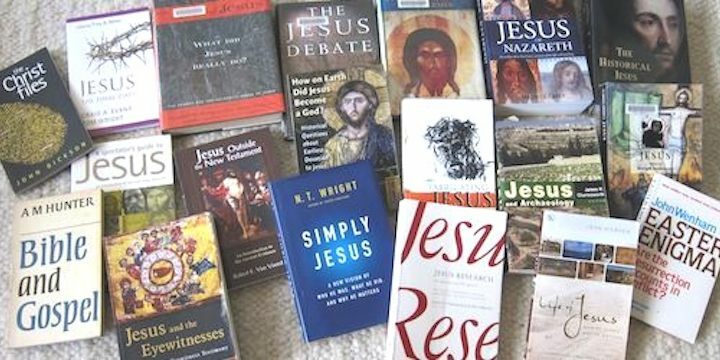 The mainstream of New Testament scholarship uses objective methods and assumptions that remove as much as possible the effect of any pre-conceived viewpoint. They will exercise caution, but not scepticism, in drawing historical conclusions. Some are not willing to pass historical judgment, one way or the other, on miraculous matters, as they see these as beyond the domain of the historian. Some (in my opinion the most trustworthy ones) will apply similar methods of historical analysis to the New Testament as would be applied to other writings of a similar age, but others adopt even more stringent methods to “bend over backwards” so that they reach conservative conclusions. The most respected New Testament scholars are in this category, including, in the reference list, Sanders, Wright, Charlesworth, Grant, Evans, Ehrman, Casey, Vermes and Bauckham. This list includes atheists, agnostics, christians and a Jew. Who have I relied on? John Dickson, because he is a historian who writes simply for lay readers from a carefully considered viewpoint within the centre of scholarship. In basing my summaries on these scholars and the other mainstream scholars mentioned above, I believe I have been objective and reasonable. We do well to be wary of those who only quote scholars from one end of the spectrum or the other.